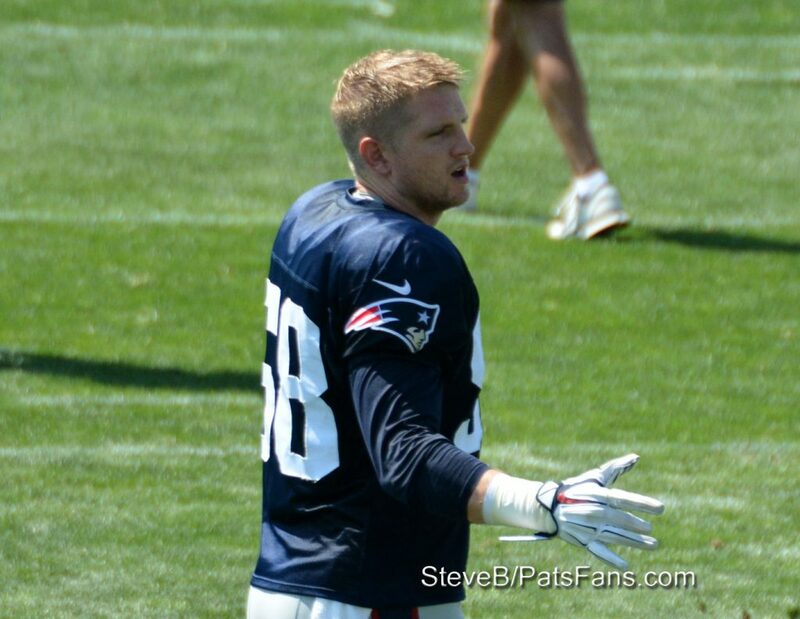 The news wasn’t good for the Patriots on Tuesday as they learned that LB Shea McClellin, who had been on IR since the end of preseason, had suffered a setback in his return and now he too will be likely lost for the season. The Patriots linebacking core is already dealing with the loss of Dont’a Hightower and this one could be more damaging than meets the eye. Hightower’s loss meant that the Patriots lost an edge rusher as well as a linebacker who can stuff the run inside and be used in a coverage role. McClellin, who was brought over to New England in 2016 as a free agent can also perform all three of those roles, albeit not as well as Hightower but his versatility is what sets him apart. The Patriots didn’t address the linebacker position at the end of the trading deadline possibly because they were expecting to get McClellin back this week. It was hoped that he’d be back in uniform this week in Denver. Now that possibility is dashed and he’ll probably not play at all this season. McClellin was placed on IR in what has now been reported as a concussion. He’s had a history of those prior to coming to New England. And once he was eligible to return to practice on October 18, he did which automatically began the 21-day window in which the Patriots had to either activate him, place him on season-ending IR or release him. McClellin’s 21-day window ended on Tuesday at 4 p.m. If the Patriots wish to keep him on the active roster, they’d have to make a corresponding move and release another player off of the active roster. Teams are allowed to make two such moves with players on IR each season. Since McClellin had already begun practicing, he counts as one. The added bad news is that now means that either DL Vincent Valentine or WR Malcolm Mitchell will likely be reverted to season-ending IR soon. Neither one has begun practicing yet. It has been reported that Mitchell has begun running again but it also means that he isn’t close to returning anytime soon. Valentine’s chances may have taken a hit since the team signed DL Ricky Jean Francois on Tuesday. Francois is a two-gap run stuffer and he may see action in Denver with DL Malcom Brown likely out with an ankle injury. McClellin’s injury leaves the team thin again depth wise. Kyle Van Noy was moved outside as an edge rushing option more with Hightower gone. That leaves Elandon Roberts and veteran David Harris as interior run stuffers but neither one is considered viable in a coverage role. Other players such as Trevor Reilly and Marquis Flowers are considered more Special Teams players than as linebackers. Reilly has the size and athleticism to potentially be used more in an edge role. 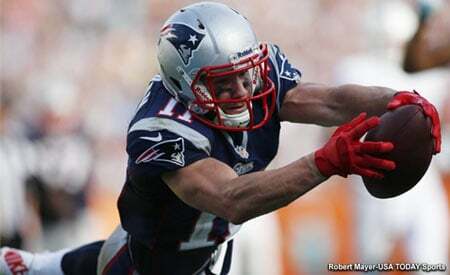 While Flowers has speed and athleticism to be used in a coverage role. But since neither has played yet this season in either of those scenarios, it wouldn’t be expected that they’d contribute there now. The Patriots defense has already been dealing with not only the Hightower injury but the absence of cornerbacks Eric Rowe and Stephon Gilmore. Now with Malcom Brown out with an injury, it really depletes a unit that has been struggling to find its 2016 form. With five of their next six games on the road, after traveling to Denver and Mexico City to face the Raiders, the team returns home for one week before going on the road to Buffalo, Miami and Pittsburgh, the defense is going to be facing some challenges. So who is the “next man up” in the linebacking role? In the pass coverage realm expect to see more Pat Chung or Jordan Richards as the “Big Nickel” safety/LB role close to the line of scrimmage. Cassius Marsh who has played in about 50 percent of the snaps will probably see an uptick in work as a pass rusher, although he could do a better job of setting the edge more consistently. It now opens the door for a potential reunion with OLB Akeem Ayers who spent the 2014 Super Bowl season with the Patriots after being picked up as a midseason trade addition. The 28-year old is currently a free agent and was in Foxboro for a workout in September. Many will remember he posted a cryptic tweet after Dont’a Hightower was injured against Atlanta. Now he could be getting a phone call as the depth at linebacker took another hit. 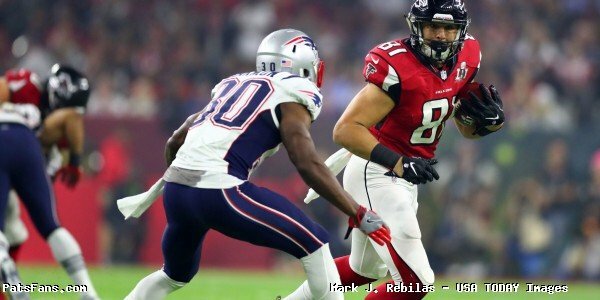 This entry was posted in 2017 Patriots Season, NFL Commentary, Patriots Commentary, Patriots Injuries, Patriots News and tagged 2017 Patriots Season, Akeem Ayers, Bill Belichick, Cassius Marsh, David Harris, Dont'a Hightower, Elandon Roberts, Jordan Richards, Kyle Van Noy, New England Patriots, NFL, Pat Chung, Patriots, Patriots edge rushers, Patriots linebackers, Shea McClellin on November 8, 2017 by Steve Balestrieri. Tuesday night at Gillette Stadium, the New England Patriots hosted their annual preseason “Patriots Premiere” gala and as part of the nights festivities, the team awarded safety Jordan Richards as the 15th player in franchise history to receive the “Ron Burton Community Service” Award. "That's the way I want to live my life; with joy that's infectious." 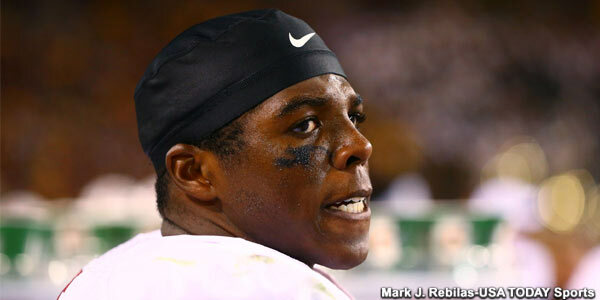 Richards, a 2015 second round draft pick out of Stanford University, ” has played in 25 games with two starts over the last two seasons. His contributions on special teams helped lead the Patriots to the Super Bowl LI Championship last season” per the Patriots press release. WBZ’s Burton, caught up with Richards following the ceremony. Video credit: Scott Sullivan and WBZ-TV Boston. This entry was posted in Patriots News and tagged Jordan Richards, Ron Burton on August 30, 2017 by Robert Alvarez. The Patriots head into training camp at the end of next week and there should be no shortage of competition at a number of spots. As a lead-in to the beginning of camp, we’ll break down the positions and give our take on who is a lock, a near lock for the 53-man roster and who is on the bubble. And we’re on to the Safeties. So next up is the Patriots’ safety position. This spring the team had the good fortune and smarts to bring back safety Duron Harmon during free agency. The re-signing of, in essence, the third starter because he plays so many snaps was a win/win. 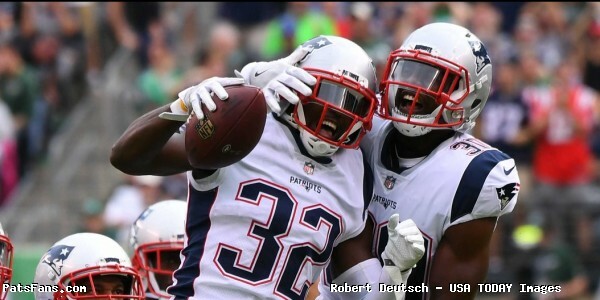 Harmon has been the team’s third safety in their big nickel package and he’d fill in as the team’s center fielder and many times they’d move McCourty, who used to be a cornerback into the slot. 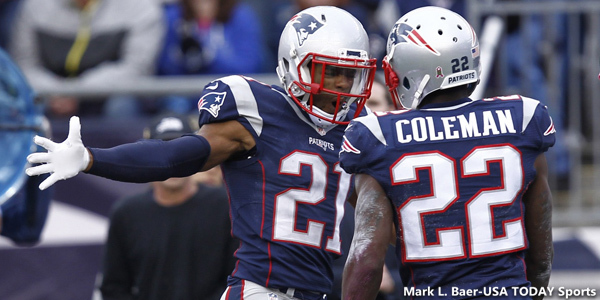 McCourty and Chung return and are a savvy pair of veterans. They both should be around for at least 2017 and possibly beyond. The team normally carries a few safeties as special teamers and this year will be no exception. The team is in very good shape at safety to start the season as they have all three starters returning for 2017. 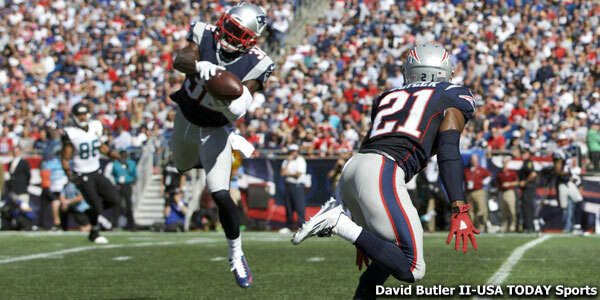 McCourty is an excellent free safety and makes all the calls for the secondary as the quarterback back there. He’s a team captain and a leader, on and off the field. Not only is he always in the right position but he ensures everyone else is too on the field. He’s like having an extra coach on the field. He’s not a big rah-rah guy but leads by example and makes himself and everyone else accountable. 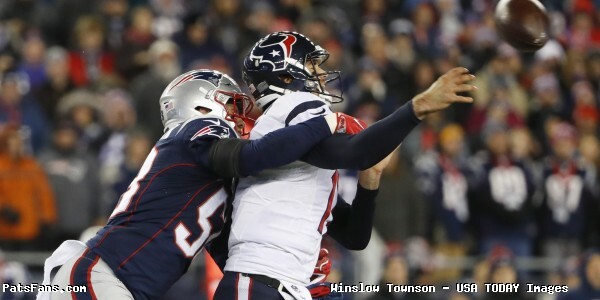 Chung has been enjoying a career rejuvenation in his second stint with the Patriots. The coaches use him close to the line of scrimmage in the box where he’s much more effective. He terrific in run support, and like everyone else in the secondary, is a good tackler and is rarely out of position. Bringing back Harmon on what is a pretty team-friendly deal was a great move. He was already essentially a starter with the number of snaps he’s played and he has a tremendous nose for the football. 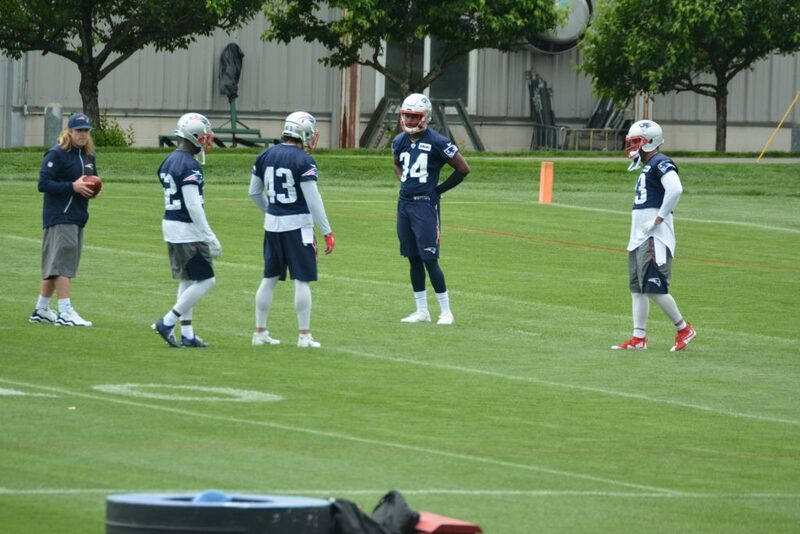 Harmon allows the Patriots to move McCourty around in the big nickel defense. He’s always making big plays at key times and is a very trusted player on the defense. The Patriots signed UDFA safety Jones from Richmond this spring and he may be a player for fans to keep an eye on this summer. He’s got very good size for a strong safety at 6’3, 210 pounds to be a backup and eventual replacement for Pat Chung. Playing a very physical position takes a toll and the Patriots need a reliable backup. Jones is athletic for a big man and returned kicks and punts in college and got some work in the return game during the spring. The more you can do, the more valuable you are to the coaches. Watching him in our limited window this spring, he impressed in coverage against the backup receivers. Now when the pads come on Thursday, will be a big test. Richards’ career is at a crossroads in just his third season. 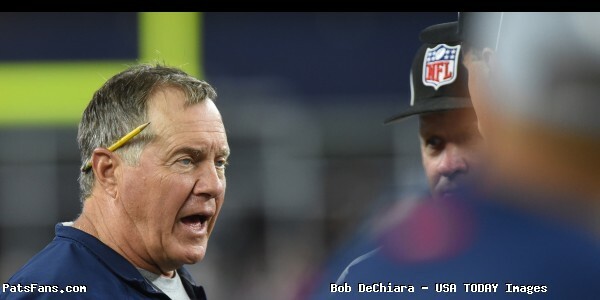 After being a high draft pick (2nd Round, 64th overall) in the 2015 NFL Draft, he hasn’t made an impact and was buried on the depth chart in his second season, when Bill Belichick says most players make a big jump in their development. He’s looked stiff in the hips and hasn’t been able to stick with receivers. He played just 18 defensive snaps in 2016 and just a third of the special teams’ snaps a year ago. He’s going to have to earn his way on the roster this summer. Right now, and it is very early with a limited view, but I’d put Jones ahead of Richards, especially given his ability to be an impact STs player. This will be a positional battle to watch. The Patriots signed Travis as a UDFA and he’s an in-the-box safety. He has decent size at 6’2, 210 but he too is a bit stiff in the hips and may be a liability in coverage at the NFL level. He does a very good job against the run and is considered a high character player and person. He has excellent special teams’ ability and led Minnesota with 17 special teams’ tackles. Thompson is a long shot to make the roster but if he shows enough of special teams, he could stick or make the Patriots practice squad. He wasn’t a starter in college and switched from QB to safety. 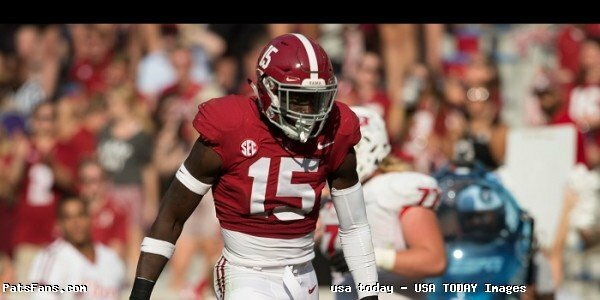 He’s got decent size at 6’2, 210, and ran a 4.44 in the 40-Yard Dash and logged a very impressive 6.57 time in the 3-Cone Drill which would have been second in the Combine. 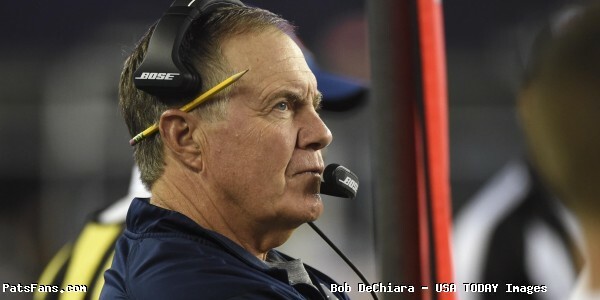 This entry was posted in Patriots Commentary, Patriots News and tagged 53 Man Roster Projection, Bill Belichick, Brandon King, Damarius Travis, David Jones, Devin McCourty, Duron Harmon, Jason Thompson, Jordan Richards, Nate Ebner, New England Patriots, NFL, Pat Chung, Patriots, Patriots safeties on July 20, 2017 by Steve Balestrieri.